Who’s already thinking about spring? Have the seed catalogs started filling your mailbox? Perhaps you’re starting a new garden, or you’re a new gardener. With that in mind, let’s tackle some of the easiest annuals to add to your garden. The easiest annuals to grow from seed are those that sow themselves. Alyssum, calendula, cosmos, larkspur, nocotiana, nigella, and poppies will all come back the following year as long as you leave some seed heads and the seeds fall on receptive ground*. With this group, you only have to plant once. I’ve had good luck with dianthus as well. The next easiest are those whose seed is large: marigolds, nasturtiums, sunflowers, and zinnias. Annual phlox is also a reliable choice, as is portulaca (moss rose). Bear in mind that larkspur, nigella, and poppies are cool-weather germinators, so if you’re starting from scratch, be sure to sow their seeds as soon as the ground can be worked. No matter how quickly they grow, annuals need a couple of months to make it to blooming size, so if you want them to flower in summer you’ll need to choose things that get growing in early spring, well before the last frost. The list is short but there are a few, including annual poppies, annual phlox, larkspur, nigella, silene, and bupleurum (a little-known but valuable bouquet filler that looks a bit like chartreuse eucalyptus). For best results, plant the seeds in fall the way the flowers themselves do. They will sprout in spring when conditions are right. If you don’t mind waiting until late summer for your flowers to bloom, the list can be expanded to include calendula, rudbeckia (black-eyed Susans), and asters. These need a bit more warmth to germinate or, in the case of the asters, a longer growing time so they don’t start flowering as soon as those listed above; but they don’t mind light frosts and can (usually) be relied on for color in September and October. 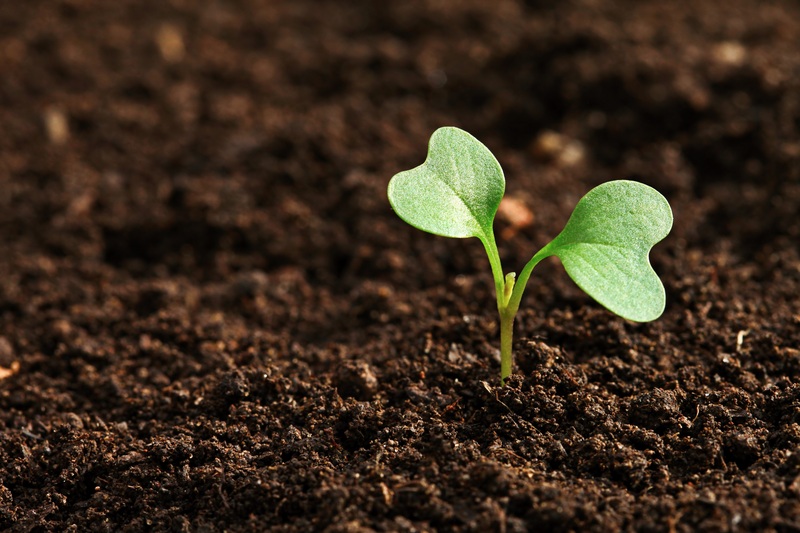 *Receptive Ground: as it relates to self-sown seed, receptive ground is nothing more complicated than reasonably loose soil that has room at the surface for something new to take hold. It need not be weed-free, or as soft and smooth as soil that has been thoroughly cultivated and raked. All that is necessary is an occasional bare place; the seeds will take it from there. When designing a cultural garden, choose only a few edibles — specifically the ones you cook with most. You can always add on or switch out plants. Consider how much sun the proposed site receives in a given day. Most edibles need around eight hours a day to thrive. Edge edibles with ornamentals to keep the look pleasing and pretty. Just consider any ornamental plant’s growth habit, so they don’t end up eventually overshadowing low-growing vegetables and herbs. Include one vertical grower, which provides interest. Cucumbers, heirloom tomatoes, and pole beans are good considerations. Ooh la la. A high-style potager (kitchen garden) featuring these favorite French goodies is tres magnifique! Cook up the freshest fare around with these must-have ingredients. The number of chili varieties out there is endless — choose a few to spice up your life. The vegetables and herbs in this region are as varied as the cuisine itself. These exciting vegetables may be used in stir-fries and salads, or to accompany Chinese dishes. Use fermented cabbage in kimchi. If you get a chance, visit the Cleveland Cultural Garden in Cleveland, Ohio. Featuring 31 gardens that are each inspired by a different ethnic group — Polish, Greek, Italian, German, Hebrew, Irish, Chinese, African-American, and Indian, to name a few — the Cleveland Cultural Garden in Rockefeller Park is a must-stop destination in Ohio. For more information, visit culturalgardens.org. Depending on your house style and budget, you can choose from wood, cast cement, molded terra cotta, plastic, or fiberglass. Avoid metal boxes, because they will very likely rust in a few seasons, and if placed on sunny sills will transmit heat, which burns roots. Make sure the box is securely attached with wire or bolts. Don’t count on just gravity, no matter how wide the support is. Prepare for planting by covering the bottom with a layer of landscape fabric or plastic screen. This will hold the soil in place while allowing water to drain. Fill the box about three-quarters full with any all-purpose potting mix, then stir in several trowels each of perlite and organic matter such as leaf mold, aged manure, or compost. There are no design rules to planting, but contrasting leaf sizes should be a goal, as should contrasting plant outlines. Use bushy plants for bulk, tall plants for a vertical accent, and pendulous species for a graceful cascade over the side. Window boxes almost always look better if there is something draping over the edge, and for sheer drama, you can’t beat drapery that hangs in long streamers well below the box. The list of likely trailers is short because most lax-stemmed plants are vines, and most vines would rather hang on than hang down. If they can’t climb straight up, they’ll climb any which way — on themselves, on the other plants in the box, on the brackets that hold the box up, etc. The end result is a tangled mass instead of graceful tresses. If you have only part sun, try these plants for your window box: ageratum, basil, bay, bee balm (Monarda didyma), begonia, caladium, dwarf Chinese astilbe (Astilbe chinensis pumila), ferns, four o’clocks, fringed bleeding heart (Dicentra eximia), lady’s mantle, lantana, lobelia, and wishbone flower (Torenia); and English ivy, mint, or vinca to trail over the side. No direct sunlight at all? That’s no excuse for not planting a window box. Assuming you get at least bright reflected light, there are quite a few plants that will endure. Many of the best are perennials with comparatively short blooming periods, but if you choose plants with handsome foliage, the box will be attractive even when there are no flowers. The delicate, ferny foliage of Jacob’s ladder, for example, contrasts nicely with the scalloped round leaves of coral bells, and both remain fresh looking all summer. The Jacob’s ladder will give you blue flowers for a few weeks in late spring. The coral bells will bloom (at least briefly) a short time later, in red, white, or pink. If you are determined to have flowers all summer long, you can try shade-tolerant annuals, but keep in mind that even tolerance has limits. You’ll probably have to experiment a bit to find which will perform under your conditions. Choices include wishbone flower (Torenia), with its small purple, snapdragon-like flowers; begonia, both tuberous and wax, available in white and every shade of read and yellow from pale pink to screaming orange; and the ever-faithful impatiens, in a spectrum much like begonia’s. And don’t forget to plant a trailer. Vinca and English ivy will both do fine. Leaf lettuces. These lettuces do not form tight heads. No matter how large they get, they are always loose collections of leaves, bound together at the base. Leaf lettuces are the quickest to mature and also the best for cut-and-come-again harvesting — just cut only the outer leaves and the plants will keep making more. Butterheads. The heads may be loose or tight, baseball to volleyball size, but they are always composed of leaves that are softer and — if well grown — sweeter than those of other types. Most butterheads are very heat sensitive and produce well only in spring and fall. Crispheads. As their name makes clear, crisphead lettuces form tight heads of very crisp, juicy leaves. This is the class to which iceberg belongs, but don’t let that keep you from trying it. Homegrown crispheads are delicious; but they do take longer to grow than other types, and they are the pickiest about good growing conditions. Cos. These are the heading luttuces with the tall profile, also known as romaines. Although they eventually come form tight heads, they can be grown as cut-and-come-again, and although they are both crisp and juicy, they are somewhat easier to grow than classic crispheads. You grow lettuces from seeds, which keep a surprisingly long time. How long seeds remain viable depends not only on the type of seed, but also on how the seed was stored. The combination of warmth and humidity is the biggest enemy. If the temperature and relative humidity add up to less than 100, your seeds will last longer. When stored under ideal conditions — airtight, in a cold, dark location — lettuce seeds can last up to six years. But as the ideal is seldom met, use this as an estimate, not gospel. Since lettuce often does poorly in mid-summer heat, it is usually grown as a cool-weather crop: sown in spring and grown through early summer, then sown in late summer and grown through early autumn. But there are many varieties specifically bred to withstand summer conditions, and most catalogs identify them as such. For best results, try out a few different heat-tolerant selections. All are likely to fare better than spring and fall varieties do in the summertime, but some will probably do quite a bit better than others, depending on the specific conditions in your garden. Get a head start on next year’s vegetable garden by making seed tapes during the cold, wintry months. Start by selecting carrots, radishes, lettuce, spinach, Chinese cabbage, turnips, and mustard that you want to sow directly into the garden. Ordering these in January avoids the possibility that they have sold out. Use two-ply toilet tissue or thin paper towels to make narrow strips to glue the seeds to. Space seeds according to the sowing instructions on the seed packet. White school glue or a paste made of flour and water will hold the seeds in place. Place a second layer of paper on top, or fold the strip in half lengthwise so you can cover the seeds while the glue is still wet. Roll or fold the tapes into bundles for storage until spring. Of course, it is critical to label the bundles immediately to avoid unpleasant surprises once planted and growing in the garden. Next spring, create a wide furrow at the proper planting depth for each crop, place the seed tape in it, and cover with soil. Water gently and keep watered until germination occurs. The whole objective is to be able to avoid the nasty job of thinning seedlings. Not only is thinning seedlings laborious, it disturbs the ones left behind, sometimes causing irreparable damage. The single flower stood out on its own and didn’t need an entire bouquet to make a statement. Why? The flower head measured nearly a foot wide and resembled a floral fireworks display. It was an Allium. Not just any Allium, but a Christophii Star of Persia. As oohs and ahs continued, I heard someone say, “Oh, I could never grow something that exotic. I can’t grow anything.” I asked if they had tulips or daffodils in their yard and they said, “Yes, that’s about the only thing I can grow because I don’t have to do anything with those. They just come up every year on their own.” “Well then,” I said. “You have the qualifications for growing Alliums.” When I began explaining that a package of five bulbs that produced the beautiful stems of starlike florets were purchased for under $10 from a local home improvement store and planted last fall, they found it hard to believe. Not only are they beautiful in a bouquet, but they make a bold statement in the garden. When in full bloom, Alliums are always the first flowers to get noticed by guests who visit. Even after they have bloomed and their color fades, the dried flower heads still add interest and texture. It is nearly fall, yet I still have the dried heads of several varieties of Allium dotted throughout my landscape, even though some bloomed as early as May. Like tulips, the strap-like foliage of Alliums pushes through the cold earth early in spring. Unlike tulips, however, deer and other critters will shy away! Most are hardy to zone 3 or 4, but check individual varieties to be sure. When planting Alliums in your garden, try to position them behind low growing plants or garden sculptures because the foliage fades quickly once the flowers bloom. Once the foliage has turned completely brown you can remove it, but allow green foliage to remain so it can provide nutrients for next year’s bloom. When planting Allium, follow the same routine you would with other spring flowering bulbs. In fall, select a site that will receive full to part sun. Dig your hole three times the dimension of the bulb. Note: bulbs can vary from as small as an acorn to as large as a baseball. The package should also give an indication of planting depth. Add some organic matter to the hole, and if you choose, you may also add some bulb fertilizer. Like other bulbs, Alliums don’t like wet feet, so provide good drainage. Plant the bulb pointy side up, cover with dirt, water, and wait until spring! The huge wispy volleyball-sized flower heads stand atop 2’ stems. Silvery purple flowers. Blooms in mid to late May. Allium sphaerocephalon ‘Drumstick’ Intensely deep purple 11⁄2” compact flowers atop thin, sturdy 30” stems. Blooms late June to early July. Inexpensive and makes a great display. Beautiful in bouquets. Deep rosy purple blooms the size of a softball. Sturdy 30-36” stems. This is among the only Alliums I recommend dead-heading because of its tendency to reseed itself, producing hundreds of seedlings next spring that generally do not develop into viable plants. One of the earliest to bloom. Large, densely packed florets form a silvery purple flower head 8-10” across. Many consider this the best of all Alliums for its impressive display. Stands 30-36” tall. Highly sought after and a little more expensive than those noted above, but worth a spot in your garden. White 4” flowers top 3-4’ stems and bloom in late May and early June. The white blooms contrast beautifully with other purple varieties.